By contrast the ideas and images of Edinburgh as a split city – its towering heights and its great depths; its clean, wealthy elegance and its dark, seedy poverty; its convenient embodiment of Calvinist notions of good and evil, and the dualism that’s strongly associated with Scottish fiction – have become so familiar as to verge on cliche. And yet … they’re strongly present in my direct, lived experience of the city; they are woven through my perceptions, shaping my imaginative response. When I tried to write about the place I’ve lived for twenty years, the ghosts of so many literary Edinburghs created a very specific anxiety of influence: it seemed there was no part of Edinburgh that hadn’t been imaginatively claimed; literally, no space for a fresh response. I realised I would need to find a way to create this space, if I was to write a story that offered anything unexpected, any kind of new perspective. To achieve this, I employed two strategies. The first was destructive: razing the city in an unspecified disaster, I thought, would clear the ground and allow me to imaginatively reconstruct the city afresh. The second was more subtle: privileging smell as a sensory response to place, rather than the more usually dominant sight and sound, held the possibility of creating a different map of the city. The story that emerged was of a specialist in the technology of virtual smells, working on a project to recreate the lost city as a virtual reality – an idea inspired in part by Kate McLean’s ‘smellmap’ of Edinburgh. In the early stages of writing this story I knew I was exploring the idea of home, but other, interconnected ideas quickly emerged – of what we mean when we talk about the ‘real Edinburgh’; of one small part of a city so much reproduced that it comes to stand for the whole; of the validity and veracity of the imaginative reconstruction of a city based on second-hand source material – a copy based on copies; of ownership of place. All of these layers of story can be read as illustrative of my initial difficulties in writing about Edinburgh. In another way, too, this is a story about the process of writing creatively, since in writing the city I was engaged in the same kind of imaginative recreation as my narrator: both of us rendering a physical place in code (binary or linguistic) and employing sensory detail to create a convincing setting for a future participant (virtual reality user or story reader). Perhaps any story about Edinburgh must be built on unsettled foundations, since it could be argued that the city itself is uncanny: the Old Town embodying the city’s dark, haunted past, surmounted by the order and rationality of New Town but refusing to remain hidden, persisting instead as central to representations of Edinburgh. ‘Candlemaker Row’ turned out to be a double ghost story: haunted (perhaps) by the narrator’s lost lover, a literal ghost in the machine of the virtual Edinburgh; and by a disembodied city that’s ‘built from code and light’, an Edinburgh raised from the dead. Umbrellas of Edinburgh is available now from Freight Books. Last weekend the clocks went back, and today Hallowe’en seems to mark the start of the ghost story season. When it’s dark at 5pm, with autumnal weather held at a distance by the warmth and flicker of the wood-burning stove, there’s something comforting as well as creepy about sinking into tales of hauntings. At the moment I’m searching particularly for contemporary uncanny short stories, for the PhD I’ve just started; here, any ghosts are as likely to be found haunting new technologies as crumbling old houses. But I’ll find time to revisit some classics, too. 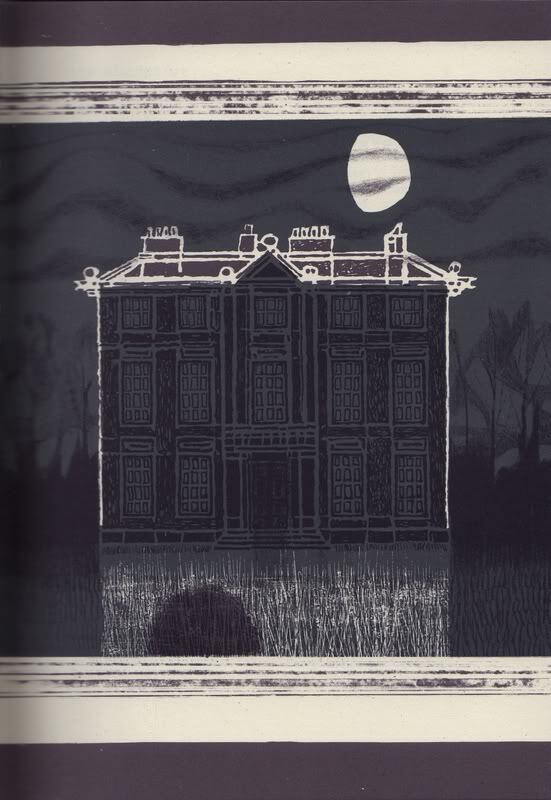 Last winter I bought a beautiful Folio edition of Ghost Stories of M.R. James, which I love as much for the illustrations as for the text. In these lithographs by Charles Keeping the palette is strictly limited, the textures are rich, and the images subtle – gesturing towards the half-glimpsed horrors of James’s tales. Uncertainty is the currency of the best ghost stories: danger is always more terrifying when it’s suggested, rather than made explicit; where the author conceals what we urgently want (and don’t want, just as urgently) to see. The leaving-out is just as important as the putting-in: as is so often the case with stories, and pictures too, it’s all about knowing when to stop. 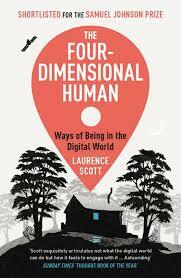 Reading: The Four-Dimensional Human by Laurence Scott. Exploring the disembodiments, fragmentations and immersions of our digital lives. 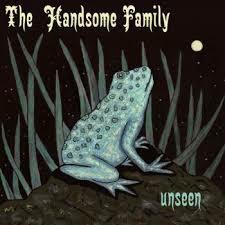 Listening to: Unseen by The Handsome Family. Dark and deadpan American Gothic.